Several months back I came across One Word 365. 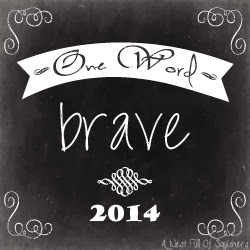 Instead of having New Year's resolutions, One Word 365 is about picking one word to define your year. One word that sums up who you want to be, or how you want to live. One word that you can focus on every day, all year long. I was a little late to the game, but I was already living my word: SERVE. #projectlove was a huge part of me living out my word. Saying "yes" whenever possible, and dreaming God-Sized dreams, are a part of serving my family, friends and complete strangers. I started by taking an art course online with the Brave Girls Club. I had never attempted anything artsy but LOVE creative people. One week we learned to stamp leather and I was hooked. I started making cuffs and giving them away. That was last fall. In February we had a women's conference and I was asked if I wanted to take orders and sell them at the conference. God totally set me up. I needed to raise money for a trip I took to Africa in June. He provided all the funds. I dreaded the idea of support letters so he gave me a gift and it has turned out to be a powerful journey as I learn the stories behind the words I stamp. It's empowering for me and for people who wear them. I was asked to return to Africa in 2014 to TEACH women a trade so that they can self support and get out of poverty and bless others. I know I will be given all the tools and wisdom necessary between now and then. This past trip to Africa was to reach the poor, rural and otherwise forgotten of Southern Africa. We visited 1-2 schools a day to pass out handsewn animals, toothbrushes, soccer balls, jump ropes and books. My purpose was to reach out to women. They are completely uncelebrated. I had about 500 small handmade cards that were sent to me by women all over the world. They encourage. They are called "truth cards." To show value and beauty and to remind women that they matter. I helped lead worship and taught. But mostly, I LOVED people. That's my passion. My heart is there. I will keep stamping bracelets and do whatever it takes to get back there in 2014! Isn't she amazing?! D'Wana's heart is BEAUTIFUL! And can you guess what I'm wearing right now as I type? Yep, my own Melodies Leather Cuff. It was a super happy mail day last week when it arrived. And now for your chance at a super happy mail day! Enter below for your chance to win your own Melodies Leather Cuff. You will pick the color and your word(s) to proudly wear. Wear your cuff as a reminder of your daily steps toward living your life for Jesus! There is more! 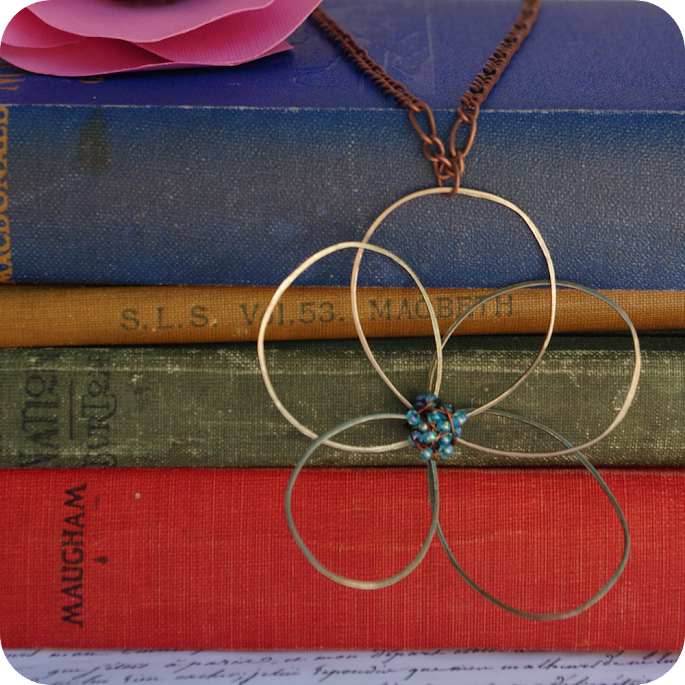 I am also giving away a Wildflower Necklace from my own shop. Enter below and come back next Tuesday when I will announce the two winners, one for the Melodies Leather Cuff and one for the Wildflower necklace. And I am offering 20% off all sales this week only for my Facebook fans. All Squisher fans can grab the code on my Facebook page. Good luck! 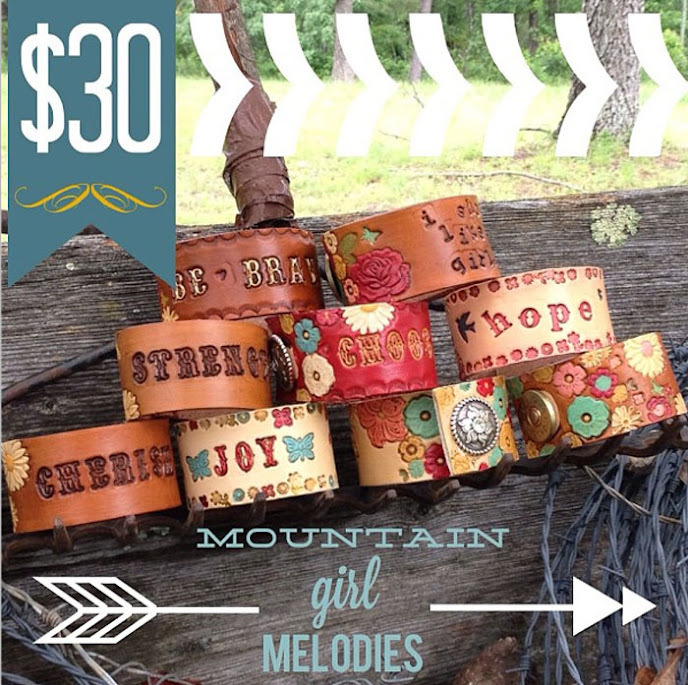 ** Thanks to Mountain Girl Melodies for this item to giveaway. There was no compensation for the giveaway itself or to influence my choice of words. Any opinions shared are my own. YAY! So excited! So thankful to have found your place here! I love the custom birds nest necklace in silver. This giveaway makes me smile! I love all of it! I would LOVE the brown leather floral with "Family". They are all beautiful! I love the floral! My word for 2013 is Heal. 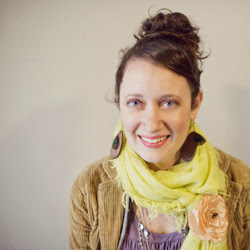 Andi, I love the bird nest necklaces. I read this book called After the Boxes are Unpacked and the author talks so deeply about creating your "nest" when you move. The importance of establishing your home is so vital to beginning a new life in a new place. Love it friend!! I'm kind of obsessed with this bracelet. I loves me a good arm party. These necklaces hold a special place in my heart! You make me smile, friend! 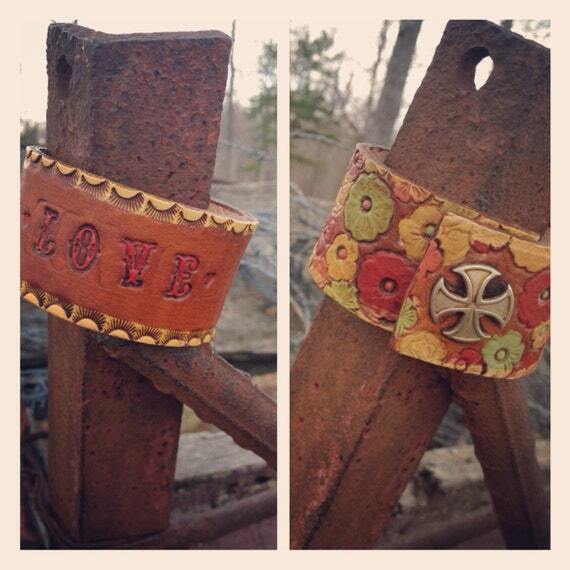 "Faith" would be wonderful on a cuff! That would be sweet, Alisa! I saw you eyeing my cuff all last week! ;) It would look amazeballs with your arm party! Love you Andi, you know that. Not just because I got to spend a few years with you at Tyndale but because of your heart to serve. You will be a part of our story forever and I am so gracious for people who care. Love from the other side of the mitten. I am so blessed to call you friend! Happy days I have when I get to see your beautiful face! The red with "blessed" for someone who needs to remember that she is. Thank you you for stopping by, good luck! Natural brown, and the word peace, my daughter would love this!!! I would say my favorite is the Love wildflower necklace, again my daughter would love this lol, This is just her! I would coose the red with the word "secure". loving the interchangeable earrings... I've recently become obsessed with earrings... just finally got my ears pierced this spring!! Love the bracelet so much! I'm would love a cream floral bracelet with the word "Worthy"! I love the Green Luster Czech Beads, Copper Wire Wrapped Earrings from your shop. The green bead is so unique looking. Lisa, I love those beads. Thank you for entering! Julie, that is so fun! Thank you for entering! Kari, the wings make me love those nests even more. Thank you for entering! Crystal, I have always been a silver girl, but recently have started loving the copper! Thank you for entering! Gina Marie, I have so much fun making these necklaces. Thank you for entering!